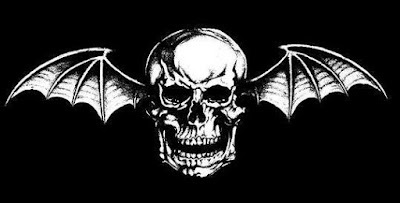 Avenged Sevenfold News: Avenged Sevenfold "This Is Bat Country" DVD will never be released? Avenged Sevenfold "This Is Bat Country" DVD will never be released? 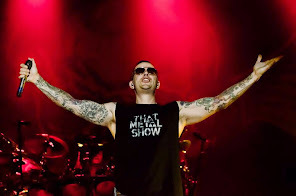 M.Shadows was recently interviewed by Loudwire Nights, you can read some excerpts below. About legal battle with Warner Bros. Records, he said: "There hasn't been a resolution with that...We left because every single person at the label...not every single person; the radio department is still intact. But the people that signed us, the A&R people, all the people that had to do with the high up at the company didn't know who Avenged Sevenfold was or cared at this point. So we had to leave." He added: "It had nothing to do with anything other than if you’re at a place where they don’t care about your band, then you have to do somewhere where they do care about your band." Warner Bros. sued the band in early 2016 claiming that the band owes the company one more studio effort and a live CD/DVD. The dispute with the label may have also played a role in the abandonment of the band's live DVD, "This Is Bat Country". Shadows said: "The reality is the DVD just never got there...The DVD was never quite good enough to come out, in our opinion. So I don’t know what’s happening with it right now. I know it's still on the cutting floor. We're still trying to make tweaks to it, but then there's also the Warner Bros. thing. We're not with Warner Bros. anymore and they own the rights to that footage."